Police said a motorcycle and Dodge Journey crashed on March 13 when both drivers merged into the same lane at the same time. Three drivers have been charged after a motorcyclist was killed in a collision on Anthony Henday Drive last month. 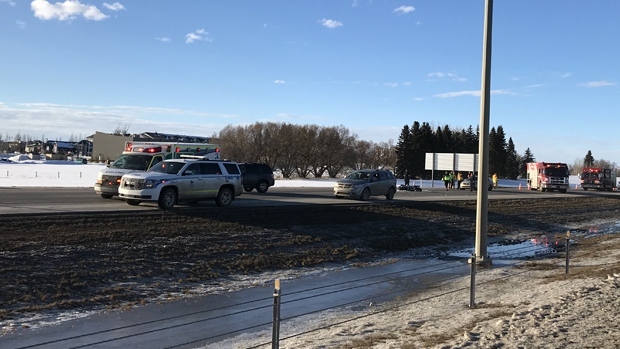 Marcel Murray, 31, died in hospital on March 13 after he collided with a Dodge Journey on southbound Anthony Henday near the 62 Avenue exit. Drivers told police that before the crash, three bikers were cutting in and out of traffic without signaling and driving between vehicles to pass. The Journey suddenly slowed down to avoid hitting a vehicle that had stopped ahead of it, and moved partially into the next lane to avoid a collision. Murray reportedly moved into the same lane at the same time, and the two motorists collided. Police said the driving of those in the Journey and on the other two motorcycles contributed to the crash. The Journey’s driver, 33-year-old Holly Christoffersen, was charged with failing to maintain the centre of the lane. The two motorcyclists, 25-year-old Zaur Abbasbayli and 34-year-old Rodney Falle, were charged with careless driving. The motorcycles’ speed was considered a factor in the collision, while drugs and alcohol were not.